Mum's pictures of her satin (Heddwyn?) are excellent and really show off his shine. 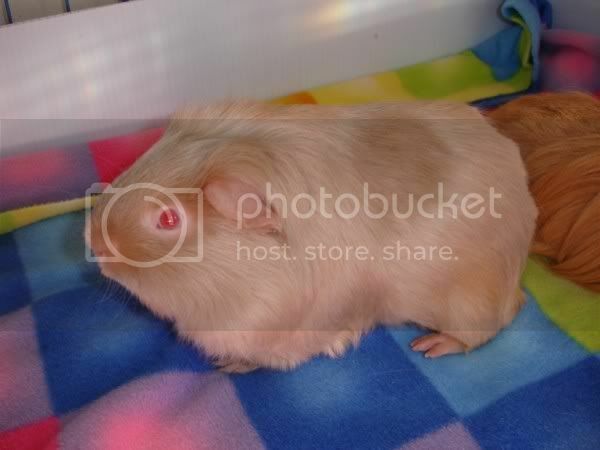 Josephine, I have some great pics of my satin piggy Derek, my avatar. 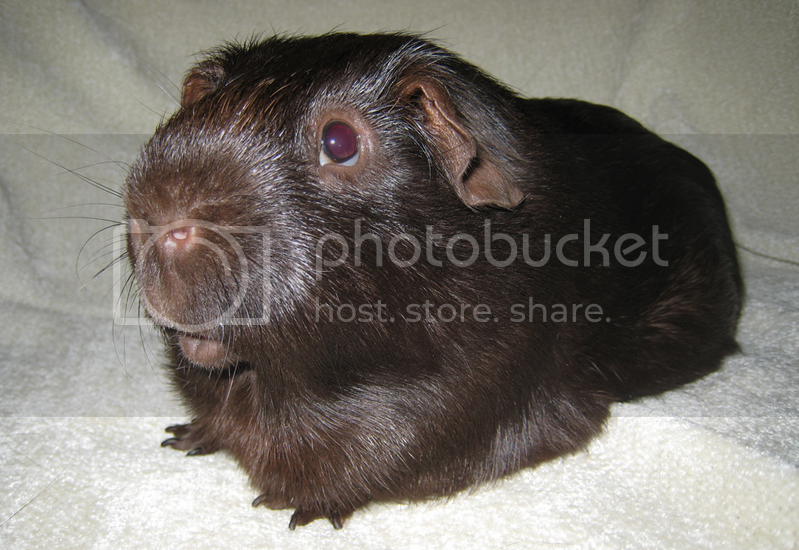 leebee did a photo shoot of all of my pigs a year and a half ago when he was still with me. Let me know and I'll forward the link to you via email. I also need to get in touch with you re the date I mentioned to you back on Fri 06-01. I'm still finalizing the date and will let you know within the next couple weeks. I'm thinking early Oct.
Can you post the link here, Piggster? I think that first pic of Heddwyn should be a keeper. I think it is definitely representative of a satin. I just sent the link to you through the mailer. I didn't want to post it here without leebee's permission first. Well I guess I have 1 Teddie and 1 American. I thought they were both Teddies but I guess not! A friend of mine had a Coronet. I can ask her to post pics she took of him and see if any are good. I will now start on the second grouping of breeds, if anyone can oblige. The varieties will be last and I'm sure I will use many of the pictures already posted! 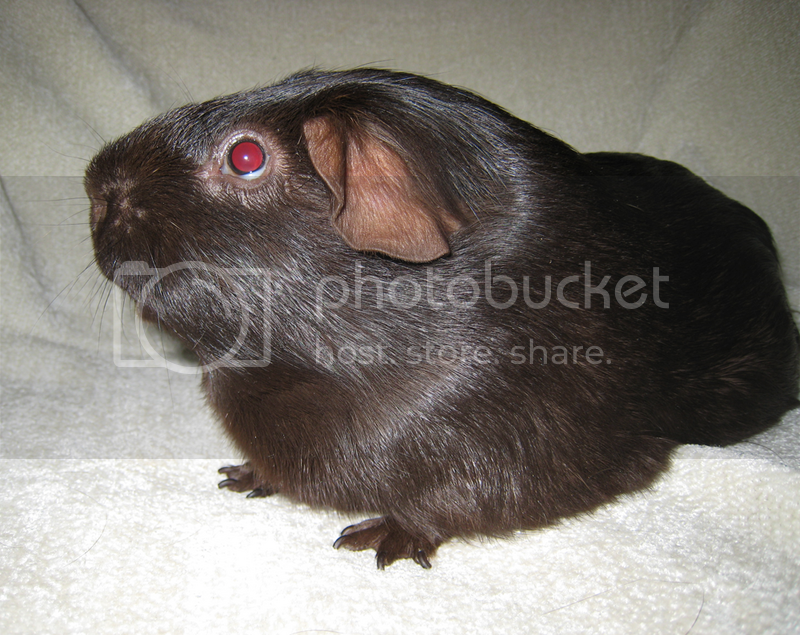 If you have pigs of different colors other than the ones posted or have Aby Satins, Peruvian Satins, Silkie Satins, Teddy Satins, Texel Satins, or any other Satins, please post pics. I will not hold out on most of these, but I know there are some people with Skinnies and Baldwins. Maybe a Merino? Hmm... double delayed post by more than 5 minutes. I will NEVER understand these things. I have a chocolate American. Since I didn't see a pig in that color I will try to get a good picture tonight and post a link here. Is Zoe a ridgeback? She doesn't have any whorls, just the spikiness on her back. Nope, Zoe is a usual Aby. Ridgebacks normally don't have any other rosettes anywhere. A "proper" Aby usually has several ridges where rosettes meet. Derek (Red) Waiting for Leebee to give permission via email before posting the link. I would also definitely like Hiver on the Silkie page. Mum emailed me to say she's giving permission to use Heddwyn's pic. I posted a photo of my ridgeback, Hannah, back on page 4. It is a nice pic, 3LP, but Hannah is not a Ridgeback. She is a white crested with some "extras." I would like to post some pics of these other unique pigs on another section. Just because they aren't a specific breed or type doesn't lessen them at all, but their uniqueness does place them in another class altogether. 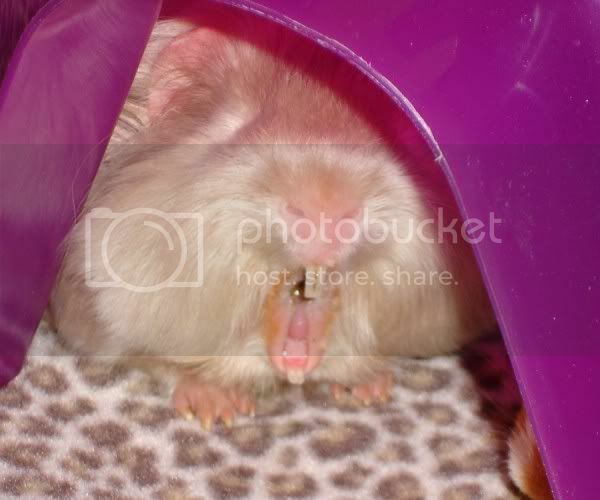 Right now, I'm gathering pigs that are most representative of the other individual breeds, but with your permission, I would love to show Hannah on the lovable, unique pigs page! Ugh, well I'm trying to research Ridgebacks and it appears some places do consider Ridgebacks with Crests actual Ridgebacks. I don't know what the standards say (my books are buried in boxes right now), but that casts more doubts on the fact it is actually a breed.